Through this scholarship the shortlisted scholars with the opportunity to win a scholarship worth INR 1000 per month for 2 years. The scholarship scheme opportunity is open for Class 10th board appearing aspirants. This scholarship scheme is commonly known as school. The exam preparation material examination will be constituted of questions from the class 10th prospectus of mathematics and science. Step 4: Alternatively, applications can also be submitted online. Step 5: Finally take print for next process. 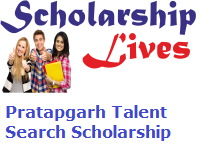 Dear Viewers, if you have any query about the Pratapgarh Talent Search Scholarship then frankly ask through the comment box which is mention below our team give quick response and solve your all the problems.